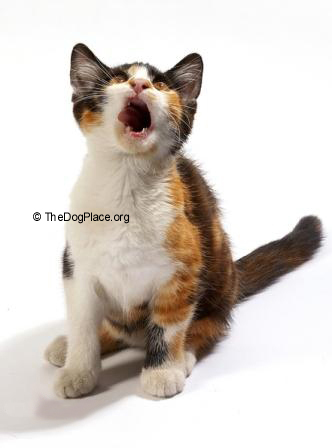 Before you yowl about vet bills seemingly pushed even higher since pet insurance came along, get the inside info on what can be done in veterinary medicine today. First, let me start with the fact that I am a veterinarian now for 18 years. The cost of veterinary medicine has NOTHING to do with pet insurance. The ONLY time pet insurance will affect the cost of veterinary medicine is IF pet insurance becomes like human insurance and the vet has to be paid by the insurance company. This will mean that we as vets will have to hire staff simply to do all the paperwork and so, yes, vet costs will go up if that happens. So I would say everyone should hope that pet insurance does not go that way. If I may I would like to tell you why I think (working in this business for quite a while) vet costs have gone up. People are WAY more willing to sue than they used to be. People are more willing to turn vets into the board than they used to be. People LOVE to blast the internet with horrible, close to libelous or completely libelous statements all over the internet. Vets have to be more concerned about basically covering their rear every second of the day than they do about treating patients these days. If people cannot afford something, that is fine and I do not judge because of that. However, many owners have declined doing what actually needs to be done and then complained, turned the vet into the board, and/or sued, yelled on the internet where ever they can when the pet does not do well or dies. I believe it has a lot to do with the way people today do not feel they are EVER responsible for their own decisions and that there is always someone else at fault. We can no longer do any billing of clients because even with that policy we still do not get paid sometimes. People are no longer "men of their word". People will promise all sorts of things and promise to pay and this is the love of their life, yada yada yada and then, whether or not the patient makes it, never follow through and never do pay. This means that some vets have really high accounts receivable which unfortunately has to be passed on to everyone as vets do have to stay in business. Again, I put this down to people no longer feeling responsible for anything they choose or do. What we are able to do in veterinary medicine now rivals what is done every day in human medicine. This means that with the high technology and increased abilities comes more cost. If you compared the cost of what is done in animals to the exact same thing in humans (not what you pay after insurance but what is paid total) then you would see we are still VERY cheap. By the way, these machines and implements etc used are THE SAME things they use on humans and cost THE SAME for human doctors and hospitals as they do vets and vet hospitals. If you want the medicine that was even practiced 18 years ago when I started, you can pay the "old" prices, but you will not get the same outcome necessarily as going with newer procedures and medicine. AND due to my statement number 1, many, many vets are no longer willing to practice older medicine even if the owner says that is all they can afford because they are afraid the person will come back on them and blame them. In case you have not noticed, prices on EVERYTHING are higher. Why veterinary medicine would be any different, is beyond me. Shoot, I am old enough to remember gas under $1 a gallon but my parents remember it under $0.50 and we are now at $4. Just that alone makes ALL prices go up everywhere. 5. A new and recent change that will cause costs to go up more is because of Obamacare. We now pay the same taxes that human medical professions do on anything that we use that also is used in human medicine. That is everything from syringes and needles to catheters and ultrasound machines etc. Also all medications that cross from humans to animals. I would say that means we are now taxed on about 90% of everything we use in the vet hospital that I work at because it is also used in human medicine. There was a sort of attempt by some to get veterinarians exempted from the tax but NOPE. And that tax will be passed on to the clients. So in a nutshell- like everything else in life, the prices are higher for many reasons but nothing to do with pet insurance at this time. Lastly, I would like to put in a word to all those people out there who feel that vets should really do everything for free since we got into this job to "help animals". Unfortunately, this is a job and I am forced to make my living this way. If I cannot make a living, I will not be a veterinarian and will do something else. Guaranteed besides the vets on TV shows maybe, 90% of vets out there are like me and not independently wealthy either which means we all must make a living at this job. AND staff must be paid and the lights kept on and the rent or loans paid etc at every clinic- all of that takes money. Doing anything for free means that not only does nothing get paid (bills or humans) but also since we have paid for all the equipment and meds etc that are used, we are actually LOSING money not even just not making anything. So, as a business, it cannot be done. I liken it to people going into a restaurant and saying "There are people out there starving. You should be giving this food away." No one would do that to any restaurant- and yet I hear it almost daily in some way or other. As far as pet insurance, I think most people would actually be better off if they simply took the amount they would pay monthly in payments and put it in an account ONLY for the pet as soon as people get a new pet. I actually tell all my new puppy and kitten owners to start when they come for their first exam. A small amount every month starting at 12 weeks will add up to A LOT. However, for some this is too hard to do and it is easier to give the money to a company and have them pay when the time comes. Either is fine- but be prepared for older pets' costs if you want to keep them happy and healthy. Older pets are a privilege to get to live with but they do need more in health care (just like us) so you need to figure out a way that you will be prepared when the time comes- pet insurance is only one option. Thanks for listening for whatever it is worth! 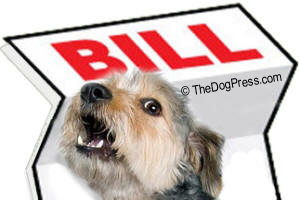 Vet Bills Make You Yelp? Do you see the high cost of pet medicines, veterinary bills, or your own health costs? 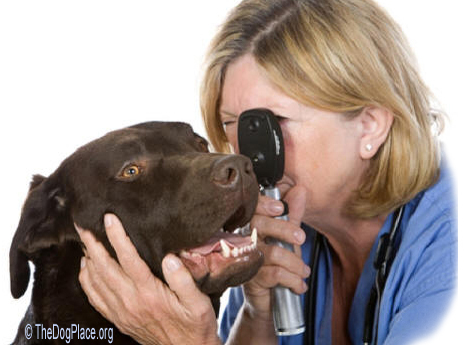 Over 167,000 FDA reports each year; how to quickly diagnose and protect your dog.